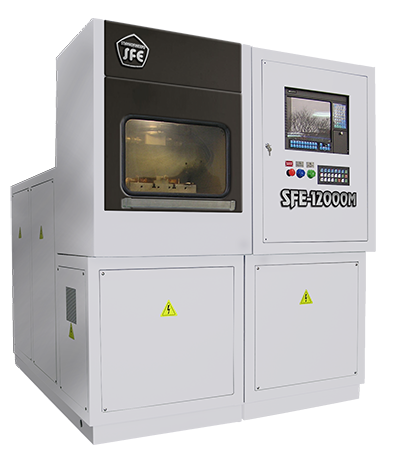 Workpiece processing with ECM technology allows to produce cutting die impressions with the highest precision and quality. 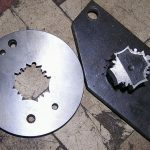 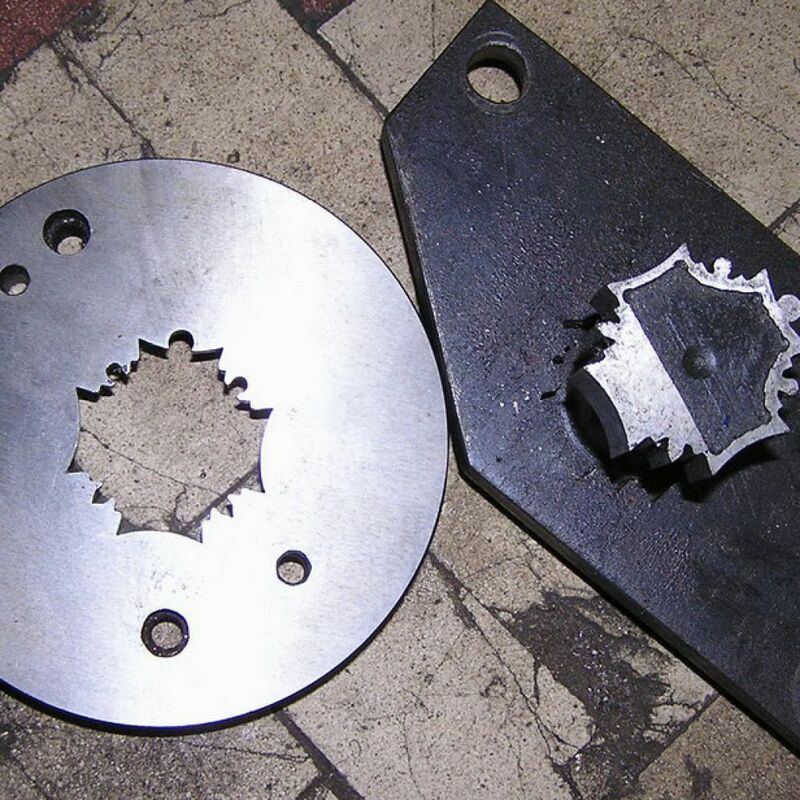 In jewelry dinking dies are used for cutting parts of various shapes from sheet metal. 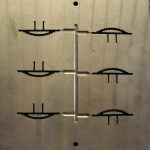 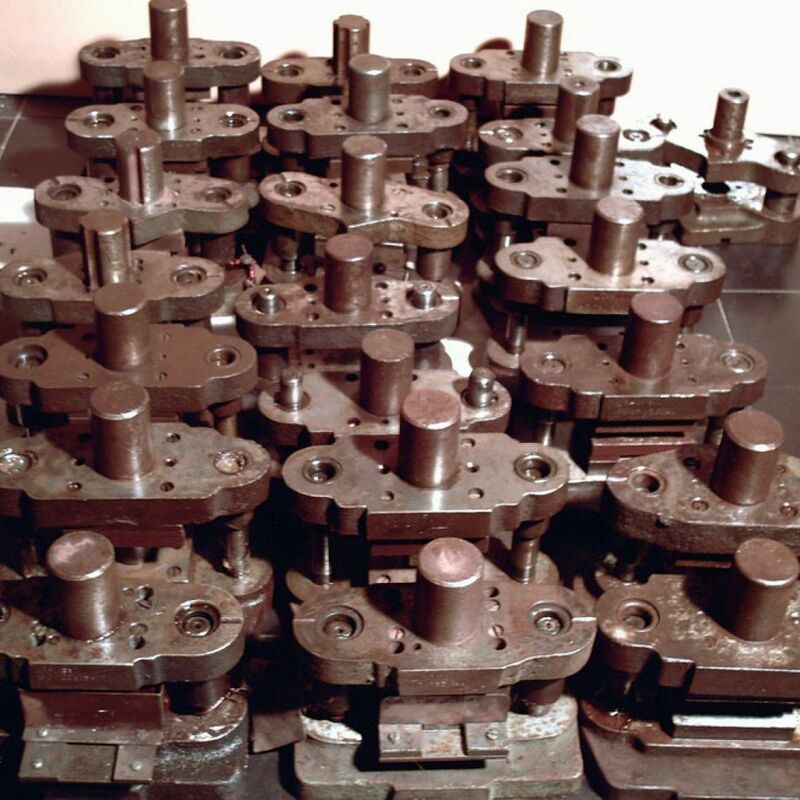 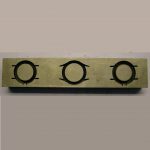 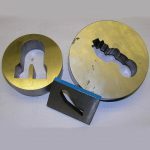 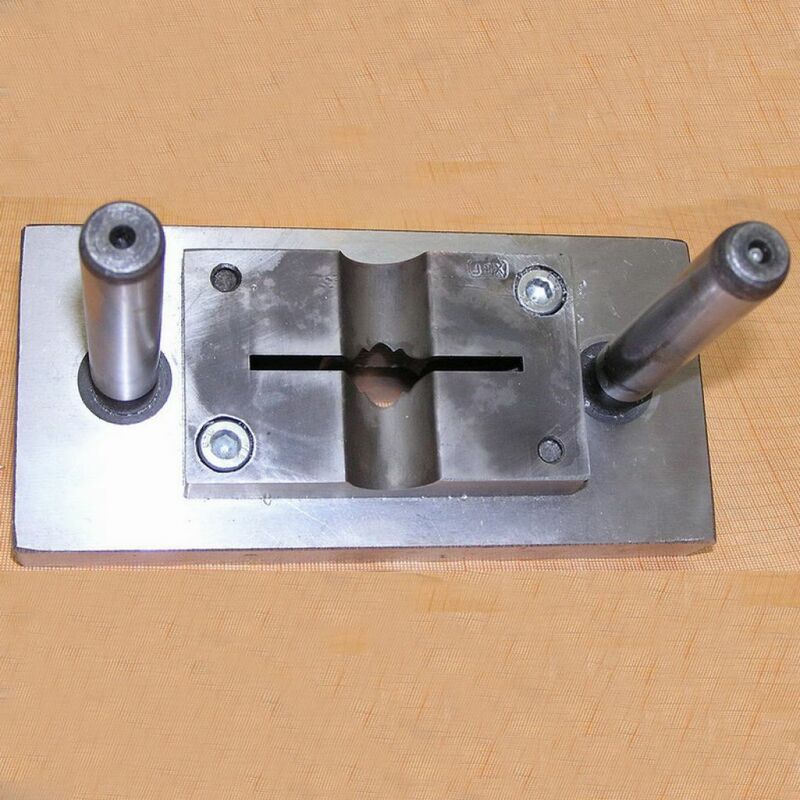 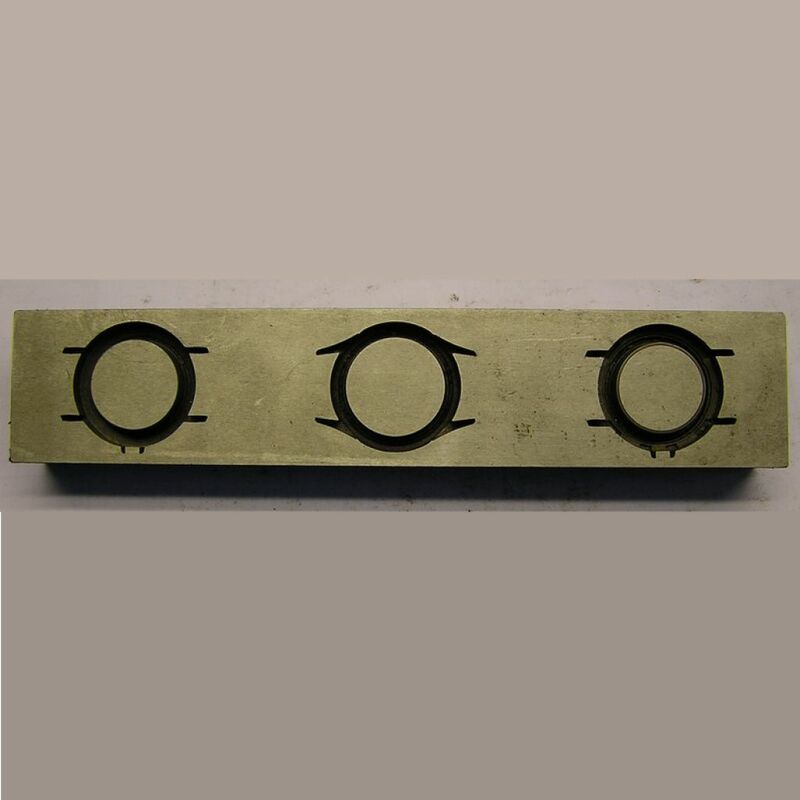 Complicated shapes of cutting, notching and dinking dies are easily made with the help of SFE electrochemical machine. 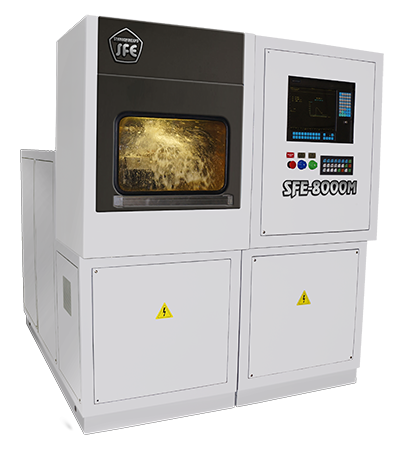 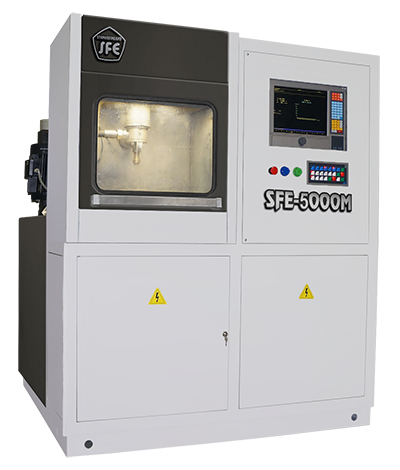 It is technologically possible to manufacture a multi-impression press mold having several geometrically equal compartments with SFE machine. 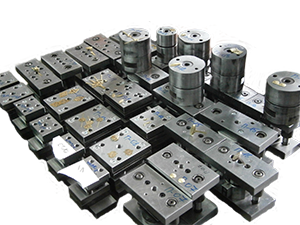 Machine positioning at the working place is performed with the use of special accessories. 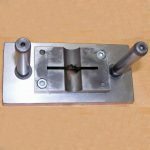 When a part is processed mechanically, slivers appear, they are difficult to remove and prevent assembling of ready-made products. 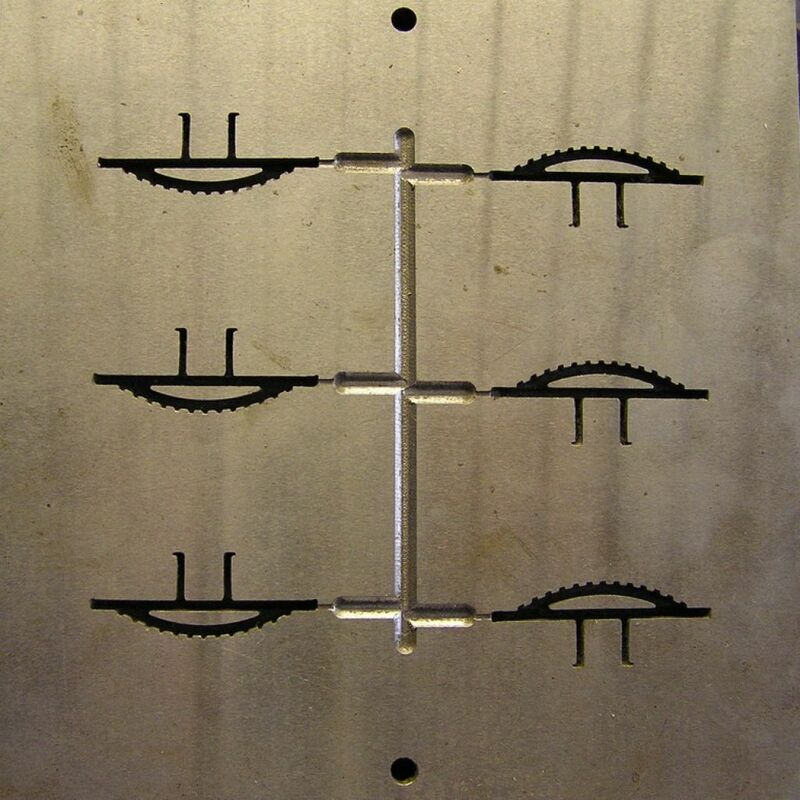 In this case the best variant to remove slivers technologically is electrochemical machining.